At launch this spring, only the 1.5-litre base gasoline engine is available. A 2.0-litre gasoline four-cylinder and 1.6-litre diesel will arrive in summer. 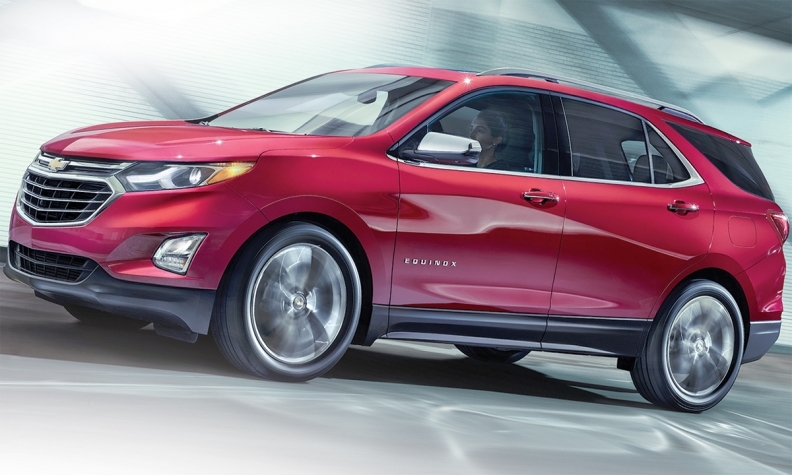 In a market gone mad for compact utility vehicles, the Chevrolet Equinox has not kept pace. The new 2018 model making its way to showrooms now, however, shrinks in size and price, and gains more base content in an effort to “get back in the game,” GM Canada says. For the most part, assembly plants in Canada are in a good place. Two of the compacts built here — the Honda CR-V and the Toyota RAV4 — were the segment’s top sellers in 2016, each with just over 400,000 combined U.S. and Canadian sales. Two other Canadian-built compact utilities, however, are not as popular. Even if the Chevrolet Equinox and GMC Terrain siblings are lumped together, their combined 2016 U.S. and Canada sales rank them only fourth in the segment. Chevrolet’s U.S. crossover marketing manager, Betsy Flegg, says the Equinox could have sold better in the United States if there was more supply. The vehicle’s checkered production history seems to support the notion that GM has been scrambling. Originally, Equinox and (later) Terrain came exclusively out of GM’s CAMI plant at Ingersoll, Ont. Then as demand outstripped supply, overflow assembly of the Equinox was added to the Oshawa, Ont., GM plant in 2010. Needing even more, in 2012 GM resurrected the former Saturn plant in Spring Hill, Tenn., to build both models. Sales climbed accordingly. Combined U.S./Canada sales reached 426,000 in 2015. However, in 2015, Spring Hill converted to build the Cadillac XT5 and GMC Acadia. North American sales of Equinox/Terrain fell to 360,000 in 2016. Heated seats and a remote starter are standard on all trims in Canada. Secondary production for the 2018 Equinox and all of the Terrain production is moving to Mexico. GMC has confirmed that Terrain will be built in the San Luis Potosi plant that currently builds the Aveo and Trax subcompacts; CAMI will remain the primary plant for Equinox for Canada and the United States, with secondary production in Mexico for export markets and top-up supply for the United States. Despite appearances, GM Canada officials and dealers say product shortage has not been an issue. Combined 2016 sales of the duo — a little over 30,000 — were barely unchanged from 2015 (down one per cent). But that number still represents a much smaller share of the segment than in the United States, even given the volume constraints. The visible part of that move is a ground-up redesign that downsizes the Equinox closer to segment norms and introduces three new turbocharged four-cylinder engines, including the segment’s first diesel. Mazda will introduce a diesel for the CX-5 late this year. The GM diesel will be built in Mexico for Canada and the United States. Longpré says sticker prices will be shaved by (depending on trim) up to $1,975 while adding $1,100 worth of standard content. The base LS front-wheel-drive model will list for $25,195 with standard amenities that include Apple CarPlay and Android Auto, push-button start, heated front seats, backup cam-era, 17-inch aluminum wheels and a remote starter. At launch, only the 1.5-litre base gasoline engine is available and Chevrolet has kept the number of build combinations to 14. That will increase when the 2.0-litre gas and 1.6-litre diesel engines arrive this summer. All engines will be available with front- or all-wheel drive and there are three trim levels: LS, LT and Premier. 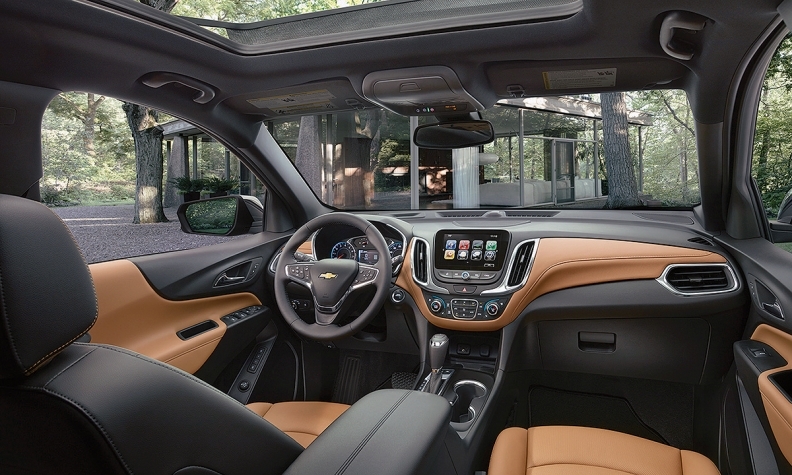 The LT and Premier will offer value-priced Comfort and Convenience or True North packages. MSRP for a 1.5-litre Premier AWD with True North package is $38,195.